New earthquake in the same area than 12 hours earlier. At a little more distance from Kimbe, but shallower. 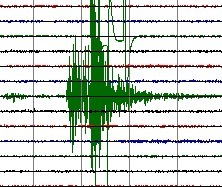 Relatively strong shallow earthquake for Poland. Near the cities of Jaczow and Ruszowice. Limited magnitude and deep enough to avoid problems. A moderate but shallow earthquake near the northern coastal towns. Moderate shallow earthquake at least 100 km away from populated areas. This is the (active) volcano island of Niuafo’ou, closest to the epicenter. 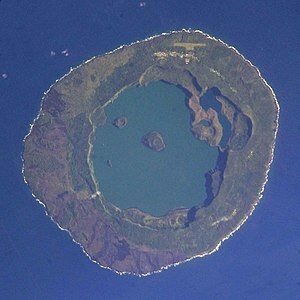 Niuafo’ou is a shield volcano with a crater lake 23 meters above sea level. Moderate earthquake in the subduction zone near the island (out in the sea). Only 15 km from Kimbe, with a population of more then 18,000 inhabitants, one of the major cities on the island. Kimbe is a modern city with concrete buildings, which makes these constructions vulnerable if not build with earthquake proof methods. This explains our orange “moderate risk” label. Aftershock in a beautiful volcano scenery. 30 km from this island of Enggano. Not dangerous. Epicenter near a mountain summit at an altitude of 4500 meter. I have included an altitude map of this beautiful area. At M 4.6 and a depth of 60 km, we do not think this earthquake will be dangerous. The terrain is however very dangerous for landslides as it is completely surrounded by high mountains. Out of the coast of volcano rich Kamchatka. Western Tibet. Very shallow, near the border with Kyrgyzstan. Not powerful enough to cause damage. Same area as the M 5.3 shock earlier today, but this time with a shallower hypocenter. A beautiful example of a volcano arc archipelago (The South American Plate is subducting the smaller South Sandwich Plate and creates the Volcano Arc). In the upper left corner of the satellite map is South Georgia, well known to Antarctica travellers. M 4.8 2010/08/27 08:03 Depth 46 km NEW BRITAIN REGION, P.N.G. Luckily very deep not causing any danger. With an epicenter very near many villages close to the highlands highway, it would have been a potentially dangerous earthquake. This relatively deep earthquake has been felt by the population of Pucallpa as a weak to light shaking. Epicenter just next to Contamana. Close to a number of uninhabited active volcanic islands (they are though real bird paradise islands, with thousands of penguins). 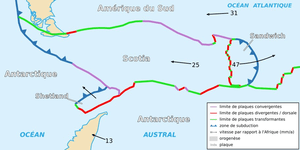 The panoramio picture shows icebergs (due to the relatively close Antarctic continent – see map above) . “Earthquake Report” considers the earthquakes listed below as potentially dangerous for damage, injuries and victims, but was unable to find out the final results. Such earthquakes have to be classified in 2 categories. 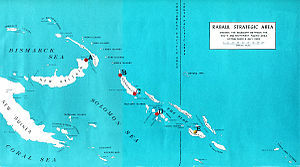 a) Poor nations with a multitude of earthquakes like Papua New Guinea. These countries only have limited resources to access the epicenter area as well as limited Search And Rescue possibilities. Mostly they are concentrating on the bigger cities and the axes with roads, infrastructure, etc. International press can get in if they want, but almost nobody in the developed world is making this a priority, so they stay away and nobody talks about it anymore, even when there is a lot of damage. b) Politically closed nations with almost none to very limited international press admittance. The reports out of the earthquake area are many times confusing. Talking about 30% of the houses damaged and nobody injured is unlikely, especially if nobody else may visit the area. Such a behavior is from the cold war era, not from the 21th century. The most recent events will be above. Links are heading to the detailed page. You can contribute to the emptying of this list by sending us a trustful report on these earthquakes (use the comment form). Reason : scarcely populated area with only a limited number of small villages. Reason : A remote Baluchistan area. The earthquake comes at the same period than the devastating floods with at least +2000 fatalities. Worldwide media coverage was only focused on the incredible and catastrophic floods. Reason : Epicenter area too far away from everything. No roads for at least 50 km from the epicenter and a beautiful but impregnable jungle with steep hills and mountains. PNG has not enough equipment to reach these tribal areas. Instead of sending a few helicopters to overfly the area, they send personnel by feet. These inspections will take days to reach and area and days to return to Andria or Kimbe. Reason : Iran is a politically very closed area. Few reporters from outside Iran are present and stay mostly in the capital Tehran. A very poor (state controlled) coverage of regional occurrences. Reports about this earthquake were very limited with a conflicting content.